Greetings one and all and welcome to TLFG's Easter Special. Usually I like to make a bit of an effort at this time of year as it is, alongside Christmas and New Year, the best time to watch football in London as there is so much on. Normally I just add Easter Monday on so you get an extra day for your money but I've gone the whole hog this time and produced a guide to hopefully see you through the next two weeks. All in all I think there is somewhere in the region of 220 games taking place with 99 of those between Good Friday and Easter Monday alone - including a possible groundhop triple on 2 April but more on that below. 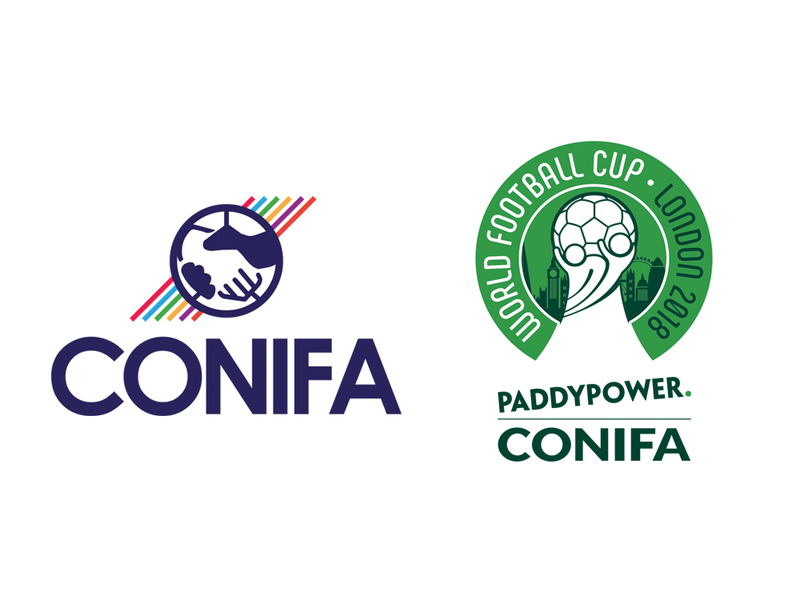 Encompassing the back end of the international break, the next two weeks include a real smorgasbord of action with top level World Cup warm-up games, the return of the Premier League and Championship and several minor cup finals. That's not to mention all the crucial league games, many of them derbies, as we approach the end of the current season. Given the lengthy fixture backlog of many non-league clubs, it is possible that even more games could be arranged over the next few days so let me know if I miss any. So how has your international break been so far? I saw pictures on Facebook that showed several of you went to my recommended game at Wealdstone on Saturday. Sadly for the Stones, they were second best to visitors Brackley Town who recorded a 3-0 aggregate win to earn a place in the FA Trophy at Wembley. On the brightside, the good news is that they'll face another London club when they get there after Bromley recorded a nervy 4-3 aggregate win over Gateshead. Many congratulations to them. 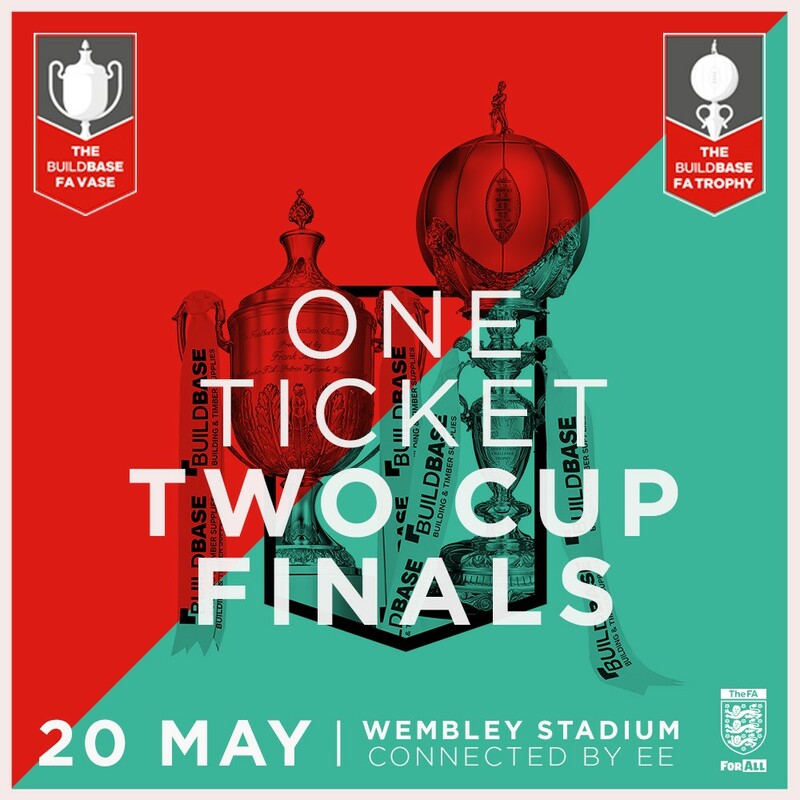 The FA Trophy forms part of Non-League Finals Day (20 May) which sees it and the final of the FA Vase played back-to-back in what is a great day out for £25 a ticket. If you get a group of nine or more friends together you get a very generous 50% discount meaning tickets are only £12.50 which is what I'm doing this year. Give it a go, tickets are on sale now. In other news affecting our local clubs, there were managerial changes at Charlton Athletic and Barnet this week. The Addicks brought in former player Lee Bowyer who immediately oversaw a fine win over Plymouth whilst the Bees gave Martin Allen his fifth go in the hotseat but his first game ended in defeat at Luton. In the National League, Sutton United beat Chester to go top whilst Leyton Orient drew a crowd of nearly 6,000 to see their 3-0 win over Woking thanks in large part to their £5 ticket promotion. Earlier in the week Dagenham & Redbridge welcomed a side from West Ham United for a fundraising friendly and, true to his word, David Moyes fielded pretty much the strongest team available to him and consequently they ran out 3-1 winners - every credit to the Hammers for helping at what is a troubled time. The National League South title race has been tight all season and looks like going to the wire with only four points separating the top three - local sides Dartford and Hampton & Richmond Borough are among that group with Welling United also pushing hard for a play-off place. 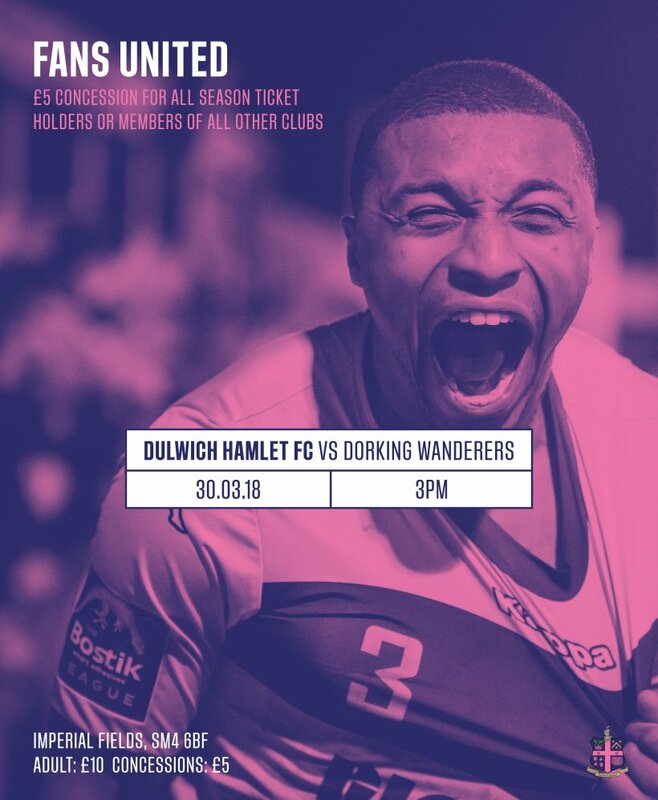 Despite being thrown out of their ground and all the other turmoil facing Dulwich Hamlet, the players, fans and officials are staying strong and are still top of the Bostik League after winning comfortably at Needham Market whilst the highly resourced Billericay Town floundered again. The Hamlet's next league game at their new, hopefully temporary, Imperial Fields home falls on Good Friday and they're holding a 'Fans United' day where season-ticket holders and members of any club in the world will be offered half-price admission (£5) and are being encouraged to wear their own colours in what I guess is purely a celebration of what it is to be a football fan. So if you're without a game, dig out your most obscure football top and get yourself down there. Typically I'm working late on Friday and everyday throughout the Easter weekend so I'll get to see absolutely nothing until the week after. 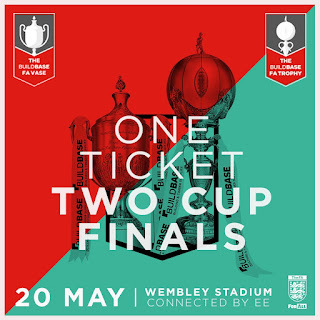 Thankfully because of all my work with Prostate Cancer UK on Non-League Day, I've been offered a couple of tickets by the charity (who also work with the EFL) for the EFL Trophy Final, also at Wembley, on 8 April. This year it features Lincoln City and Shrewsbury Town so, although I have no affinity to either, you can't knock a free day out at the national stadium. Regular readers will know that the Conifa World Football Cup is coming to London in a couple of months time. This week's main announcement was that Bracknell Town will host a number of games - personally I found this a bit disappointing as they're not a London club. However, the ground is modern and very close to the town centre and station - it will also hopefully generate a bit of extra interest in the Thames Valley area. The remainder of the stadia to be used will hopefully be announced this week, including the important announcement about where the final will be played. Well I think that's about it from me. Have a great Easter and enjoy your football - keep your emails and pictures coming. There are over 200 matches in the London area over the next 14 days. The highlights include some big international friendlies, the return of the Premier League and Championship, some cup finals and loads of local derbies.